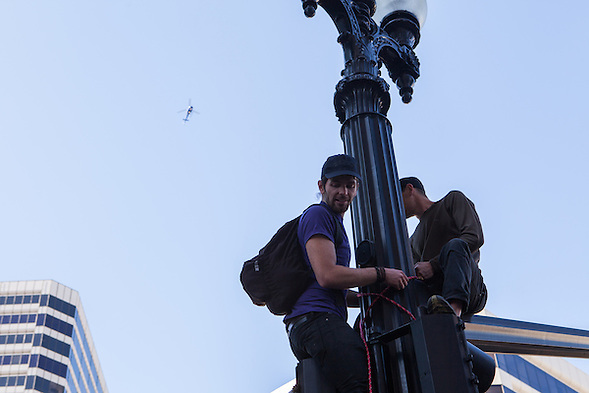 Four years ago, I published a blog post about the local Occupy Oakland General Strike. 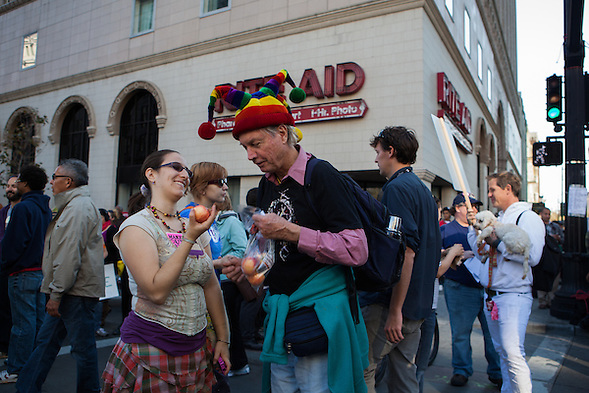 The main protest started in downtown Oakland on the morning of November 2, 2011. Before I arrived at the protest, I captured images that I thought would illustrate a different part of the “income inequality” story. 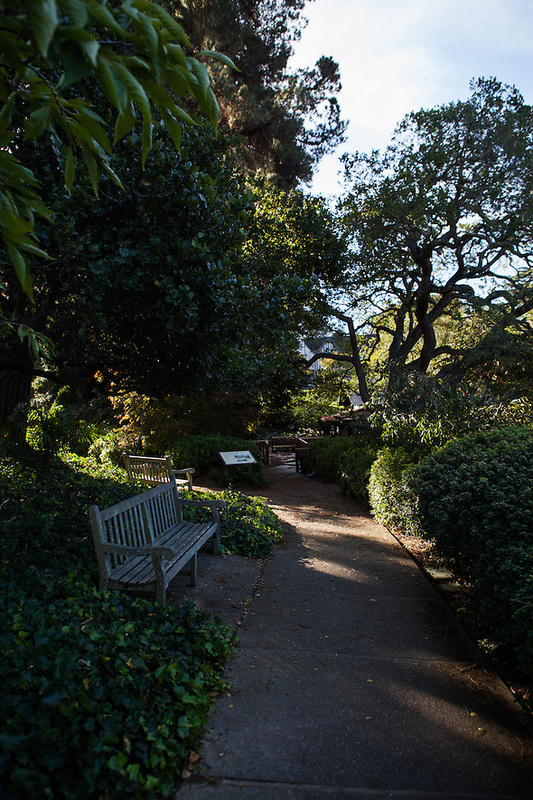 I visited the city of Piedmont, California and photographed the city within the city of Oakland. For this post, I juxtaposed images from the General Strike with those from Piedmont. 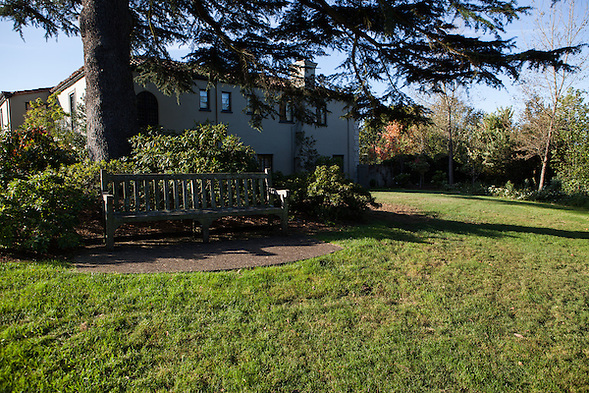 If you do not live near Oakland, you may not know about Piedmont, California. 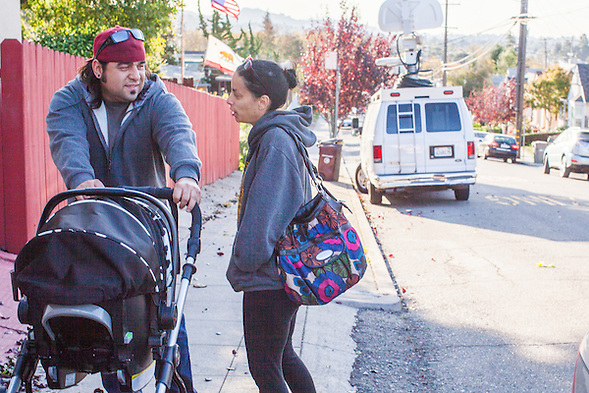 It is a small incorporated city completely inside Oakland. 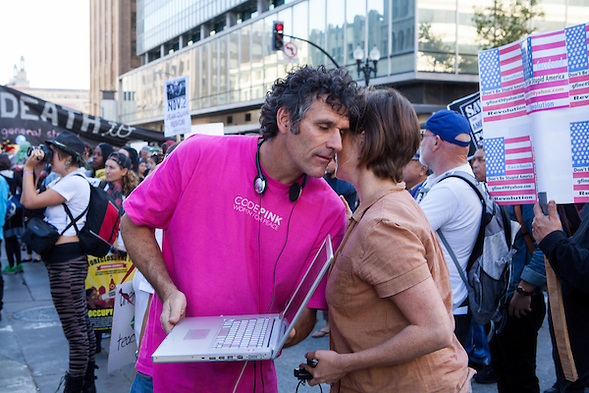 In 2011, if there were an Oakland equivalent to Occupy Wall Street, it would have been “Occupy Piedmont.” I did not want to encourage an Occupy Piedmont movement, but I found Occupy Oakland to be, at best, off-message. 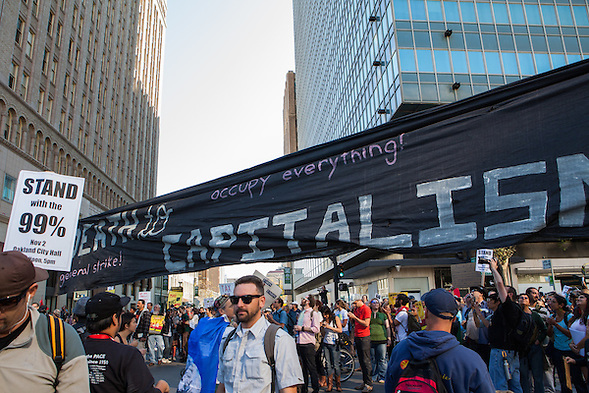 It was Occupy Everything… except where rich people live. I have friends in Piedmont. My daughter plays for a Piedmont Rec soccer team. I have played softball in one of their parks. It’s a nice place and good people live there. It seemed like a nice place to occupy. I even created a Google Maps link from Frank Ogawa Plaza (with a few extra stops) in case someone wants to plan an Occupy Missed Opportunity or visit to some of our finer local schools. This photo was taken a couple hours before the General Strike. It reminds me of my 7th grade Halloween when my bike was stolen from our porch while we ran inside my friend’s house to use the bathroom. (My friend’s porch did not look like this one.) I also remembered my 4th grade Halloween when our pumpkins were smashed while we were out trick-or-treating. 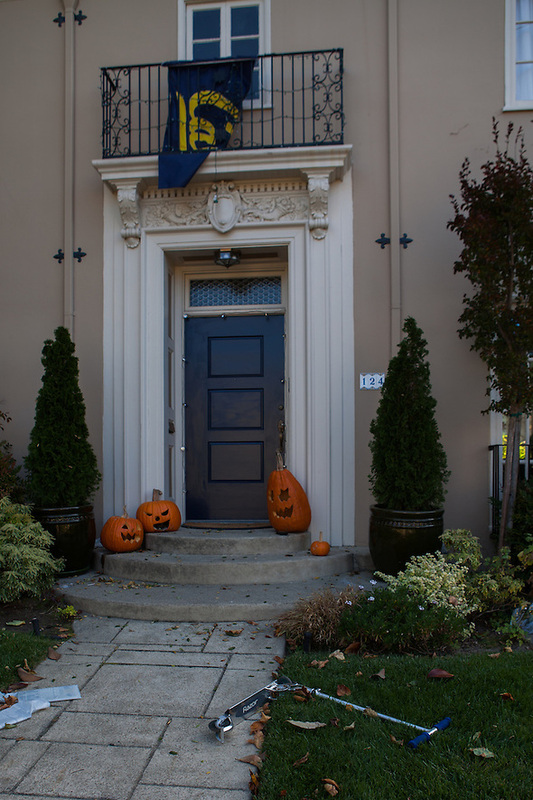 Who flies a Cal flag on Halloween? It isn’t even the state flag. To be fair, in Piedmont, this probably passes for being anti-establishment. Speaking of Stanford, the Google Brothers, Larry and Sergey Google, announced that Google.org would contribute 2.35 million to communities working towards racial justice. 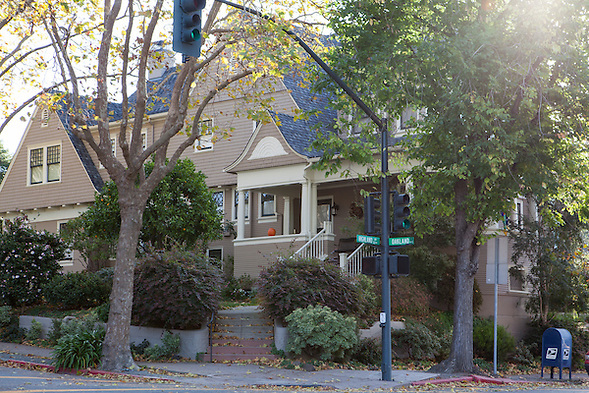 How much house do you think 2.35 million will buy in Piedmont? To a parent of a Black Life, how much is their child worth? (hint: more than Google owns). I might use ask.com for the answer. I wish I knew the location of ask.com. Where do Google employees send their school children? You can also use Google to follow the Google Maps link I included earlier and find information about private high schools in Oakland. You can stop at Piedmont’s High School too. If Google really wanted to be innovative, might employees move to a low-income neighborhood and send their children to a low-income public school? I wish you could hear this photo. Helicopters are loud, especially when they echo around the buildings. There were no helicopters in Piedmont. National television reporters claimed that locals did not want to shop downtown, because of the protesters. I didn’t want to go downtown, because it was so loud. Some students start life with a 100. Other students travel the length of the field, only to find themselves looking at a second and goal from the one yard line to win the Super Bowl. 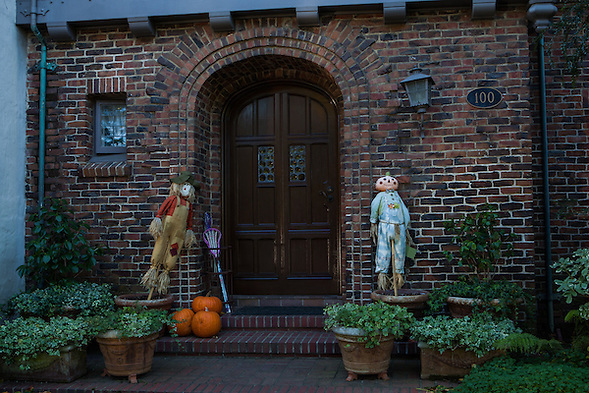 I am not saying all white people play lacrosse and have cute scarecrows, nor am I saying that Seattle threw the ball because Marshawn Lynch attended an Oakland public high school a couple miles from Piedmont. For all I know, Marshawn Lynch owns this house now. 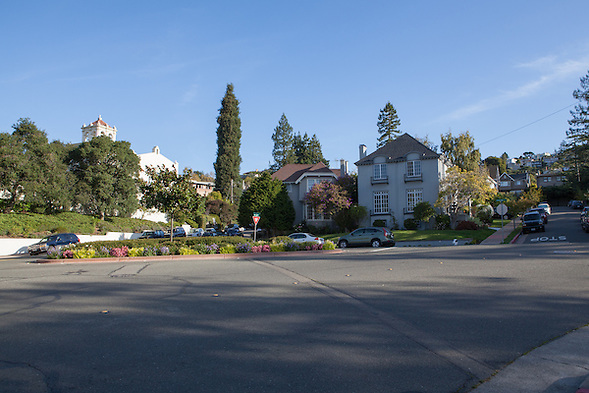 Piedmont has an Oakland Avenue. That’s like Oakland. On the Google Map link, I included two Oakland private high schools. One advertises that 17 recent graduates have matriculated to Standford; the other high school states that 8 recent graduates attended Standford. I think this proves something about Standford’s excellent diversity outreach or income inequality program. Perhaps it might also prove that other Oakland schools are still trying to catch up to McClymond’s impressive list of graduates. What bothers you more? That I misspelled the college’s name? or that elite Oakland private high schools send students to elite private universities in a city with income inequality. College Prep sent 17 to tandford or Head Royce, with about 350 students, sent 8 to Standford. Or that I mentioned it? Or something else? I don’t have the solution, but I believe that if you are working to close the achievement gap, you are aiming to low. Though Piedmont appears ideal, people can’t thrive on an island without feeling isolated. Communities with a rich history, need to feel connected to their past success. McClymonds High School has changed the world, and yet Oakland often ignores its accomplishments. How can we create a message that connects success and resources? Note: I edited this post on November 9th, especially the second part. This entry was posted on Sunday, November 8th, 2015 at 3:55 pm. 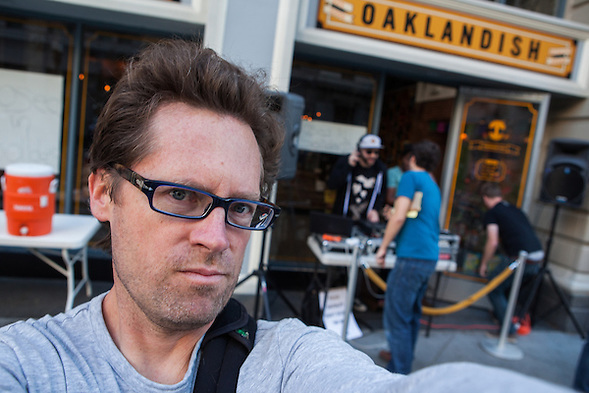 It is filed under Journalism and News and tagged with California, Frank Ogawa Plaza, Occupy Oakland, Piedmont, protests. You can follow any responses to this entry through the RSS 2.0 feed.